We hope your move to Nome is a pleasant and prosperous venture. Please let us know if we can be of any further assistance to you. Feel free to e-mail us. Nome, Alaska is about 540 air miles, or about a 1-1/2 hour flight, northwest of Anchorage. Driving to Nome is not possible since the community is not part of Alaska’s road-system. This airline makes one stop in Unalakleet between Anchorage & Nome, and from Nome to Anchorage. Cargo, Snow machines, ATV’S, Pets. They do not transport automobiles. Cargo, Pet, ATV transport within Alaska. Cargo ONLY- They do not transport automobiles. Be sure to check with your current Cellular Provider for coverage in the Nome area if not listed here. chiropractic care and massage therapy. We have a wide variety of modes of transportation in Nome. If living in town, most destinations are within walking distance. There are a large number of vehicles in Nome as well as All Terrain Vehicles (ATV’s) & Snowmobiles. Cab services are based on a flat rate heading in one direction per customer and vary per distance. When hailing a cab expect to share the ride as several customer pickups may occur. There are no car dealers in Nome; however, used vehicles are often times advertised for sale. ATV’s and Snowmobiles are modes of transportation that are currently allowed throughout some sections of Nome. Please read Chapter 8.15 in the Code of Ordinances of Nome which pertain to ATV use in the city. Many have thoroughly enjoyed the casualness of living in Nome, Alaska. Shirt, jeans, and tennis shoes or boots are the most common attire throughout the year. Only a few roads are paved, therefore dust in summer months is quite often an issue, hence the need to leave dress attire at home. Summer temperatures in Nome are quite enjoyable with averages of 44°F to 58°F. Warmer temperatures in the summer can often be found by driving into the country away from the coast. A light weight water/wind resistant jacket, a pair of rain boots and rain coat for the wet days will protect you from elements in summer months. It is always a good idea to dress in layers so you are able to easily adjust to the changing temperatures of the day. If you plan to hike in the tundra be sure to keep an extra pair of socks with you as your feet might get wet due to marshy conditions. Winter months, which are long, are very different though. Temperatures average from -3°F to 15°F with wind chills plummeting the temperature as low as -60° or colder! Please take into account the severity of the weather here as these extremely low temperatures can be deadly. If you dress in the appropriate gear you can be quite comfortable even in these sub-arctic temperatures.You should also be aware that the weather can change rapidly here; therefore, you will need to be prepared for the unexpected year round. For more information about cold weather preparedness, feel fee to check out the guide, “WINTER STORMS THE DECEPTIVE KILLERS”. 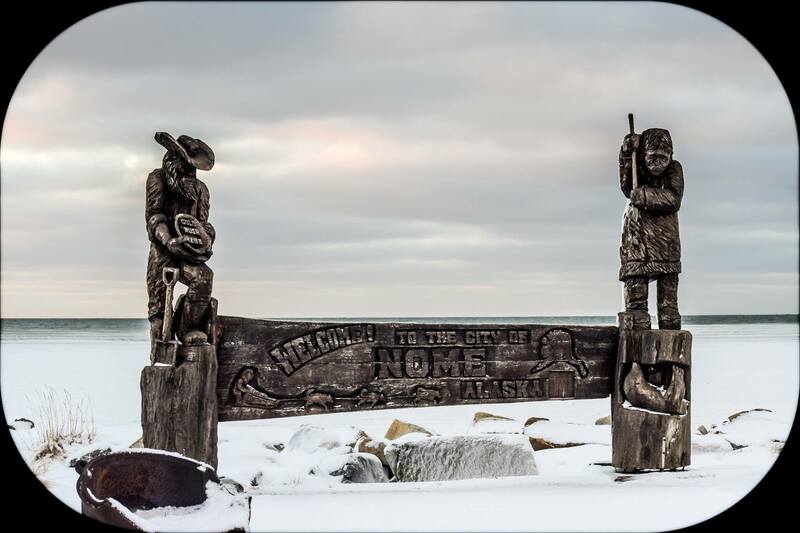 We thank you for the privilege of serving you as you endeavor to make Nome your home.  We hope that the information on our website is of great benefit to you. 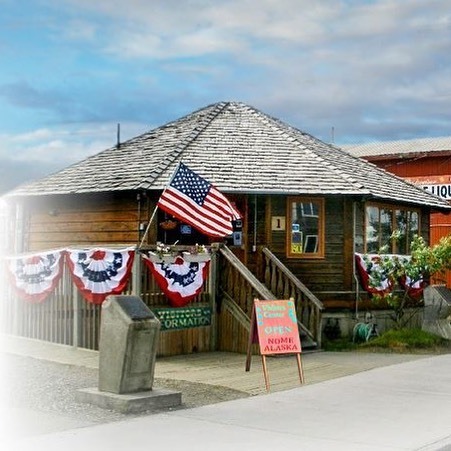 Please be sure to stop by to see us at the Nome Visitors Center as we look forward to meeting you upon your arrival.